Citizens throughout Indonesia gathered to vote for their president, parliamentary officials and regional officials. 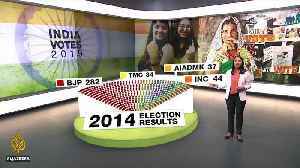 Around 192 million voters voted today (April 17) in the "world’s biggest single-day election," as claimed by news outlets. Voters will choose 245,000 candidates for positions-from the President and parliamentary national, right down to the parliamentary locals. 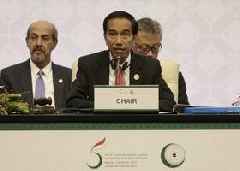 It is suggested that Joko Widodo, Indonesia's current president is about 10 percentage points ahead of his rival, ex-general Prabowo Subianto, in one poll. 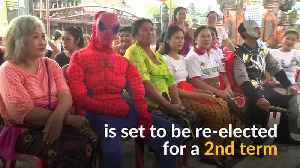 Two men dressed up as Thor and Spiderman have been tasked to guard a polling station in Bali as voters cast their ballot in the world&apos;s biggest single-day election. According to a report by Reuters, on Wednesday, Indonesian President Joko Widodo stood 13 percentage points ahead in the race to lead the world&apos;s third-largest democracy based on an unofficial..
(CNN)Indonesians head to the polls Wednesday to vote in the world's biggest single-day elections that will see incumbent President Joko "Jokowi" Widodo face off against longtime rival and former army..